Yazz is a modern versatile lighting fixture allowing user to create their own custom lighting unit anytime to suite their need or mood. 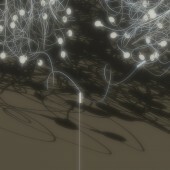 Interaction comes by combing modules or twisting and twirling wires to create a distinctive form that casts decorative ever changing shadows onto surrounding surfaces. Just as playful and interactive as its original inspirational concept a child's scribble, so sophisticated in its composition yet so enlightening in its expression. This lighting fixture encourages interaction with the user by allowing them to create different shapes and forms. It is a very versatile modular entity allowing the assembly of several modules into various assortments. It is user friendly, inspires creativity and play of light and shadows. Plenty of aspects to play with to achieve the desired scintillating light sculpture not only when switched on but also adding visual delight to a space when switched off. Each unit is made of bendable semi rigid wires with an attached jack making it easy to combine more than one unit together. The user can interact with each unit on several levels. They can combine modules and or twist and twirl wires to create a distinctive form that in its composition casts decorative delightful ever changing shadows onto surrounding surfaces when illuminated. The concept emerged in May 2013 and design ended January 2014. The first prototype is currently in the making. Each module is 50cm x50cm and comes in different finishes. Included in each package is the connecting triple jack, dimming switch, a canopy, screws and bulbs as well as adjustable fixation arm as the wires have multiple usages whether for a sconce, a ceiling fixture, wall feature or a chandelier. It was important that the packaging be as eco-friendly and soft flat pack to reduce footprint in shipping. 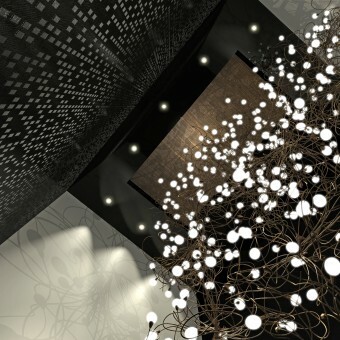 The aim is not only to create a beautiful light fixture but to enhance the artistic side in every user. The shapes and size of the fixture could vary according to the user's taste, mood and imagination. The objective was to juggle several aspects that we needed to achieve to include malleability of the wires, possibility of joining bundles together, diversity in finishes, dimming methodology and the fixation for multi-usage possibilities. All of this with the desire to celebrate the look of the humble traditional incandescent bulb with the usage of the economical LED lights. The main challenge was to create a fixture that is aesthetic, playful, interactive and economical. The fixture had to be user friendly while promoting interaction between the consumer and the flexible lighting elements allowing innovation of new shapes. The concept sprang from the idea of minimizing lighting to its basic essentials as the ultimate expression of beauty without losing its aesthetic impact lighting since industrial minimalism is art by itself. 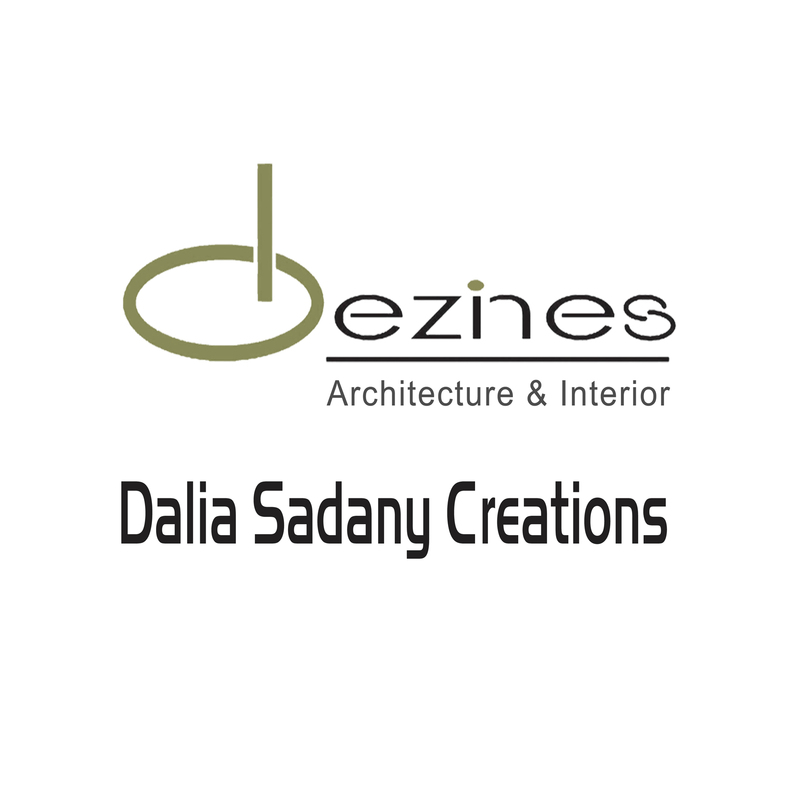 Dezines Dalia Sadany Creations is an award-winning design house providing architecture, interior design and landscape design services as well as Design-Build turnkey solutions with its sister companies specialized in high-end interior finish contracting as well as bespoke custom furniture & lighting design and production. 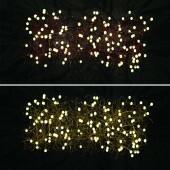 Yazz Lights Lighting Fixture by Dalia Sadany is a Nominee in Lighting Products and Lighting Projects Design Category. · Click here to register today inorder to be able to view the profile and other works by Dalia Sadany when results are announced. Yazz Lights Lighting Fixture by Dalia Sadany is Winner in Lighting Products and Lighting Projects Design Category, 2013 - 2014. · Press Members: Login or Register to request an exclusive interview with Dalia Sadany. · Click here to register inorder to view the profile and other works by Dalia Sadany. Did you like Dalia Sadany's Lighting Design? Did you like Yazz Lights Lighting Fixture? Help us create a global awareness for good lighting design worldwide. Show your support for Dalia Sadany, the creator of great lighting design by gifting them a nomination ticket so that we could promote more of their great lighting designs.